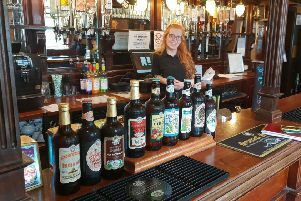 The bar sources all its cask ales locally, he said, and as well as Ossett Brewery’s Yorkshire Blonde being a staple, punters can expect three changing beers. Mr Hardy said that inclusion in the guide definitely increases trade. The pair, who currently have 11 different beers, are to open their own “tap room” bar, Terminus, off Stonegate Road in Meanwood over the new few weeks. There will be an emphasis on experimentation, with new beers made by the brothers available every week or two, and the pair hope that the new bar will be included in the next guide’s list of pub recommendations.